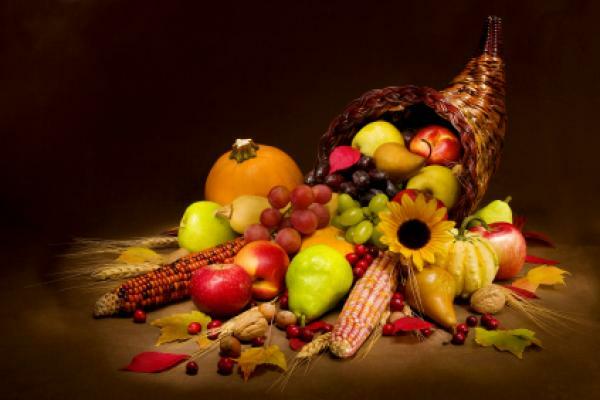 What good is gratitude? 1.Gratitude allows us to celebrate the present. 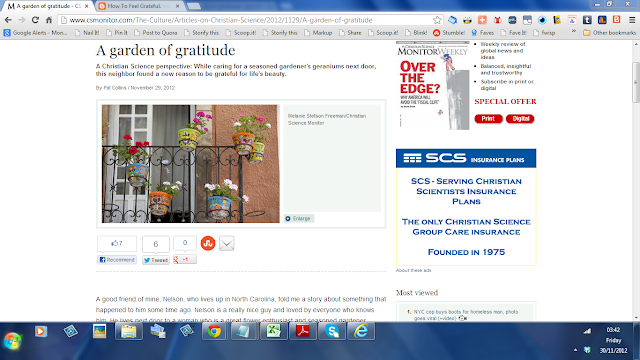 2.Gratitude blocks toxic, negative emotions, such as envy, resentment, regret— emotions that can destroy our happiness. 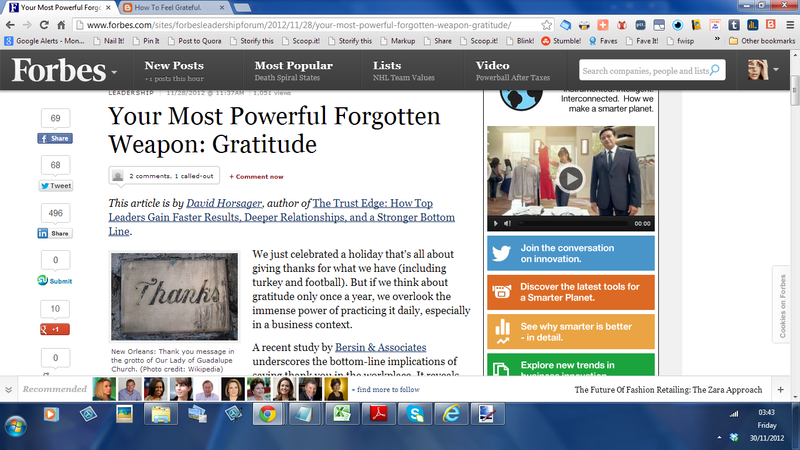 3.Grateful people are more stress resistant. 4.Grateful people have a higher sense of self-worth. Just because gratitude is good does not mean it’s always easy. 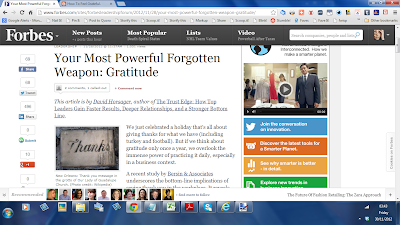 If you find that you have to put a lot of conscious effort into practicing gratitude, allow me to help you. and needless to say ...but we say it anyway: A BIG THANK YOU! – adapted from The Greatest Salesman In The World by Og Mandino. The first thing to do is get a notebook. The whole point of this exercise is to feel good about yourself and your life. REMEMBER TO KEEP A GRATITUDE JOURNAL! Start Your Own Gratitude Journal. 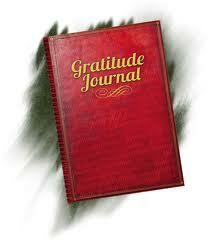 Write down five things you are grateful for each day in your Gratitude Journal and your life will change forever. Do this for at least one month.